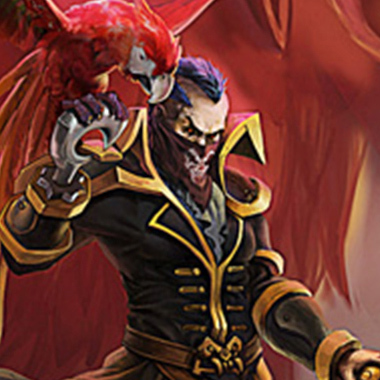 Swain is a zone control mage with extreme control over the area around him. He can slow and damage enemies in the zone around him with Decrepify, completely stop enemies in their tracks with Nevermove and cause enemies to take extra damage from him. 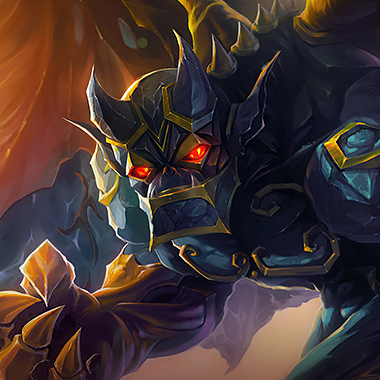 He regains health on unit kills and if worst comes to worst, can use his ultimate to both damage and heal enemies near him, making him a surprising terror when it comes to duels. However, even someone with as much control over his immediate area as Swain has his weaknesses. Swain regenerates Mana each time he kills a unit. This amount increases each level. Swain sends Beatrice to cripple enemies within the target area. Crippled targets are slowed and damaged over time. Swain marks a target area. After a short delay, mighty talons grab hold of enemy units, dealing damage and rooting them. 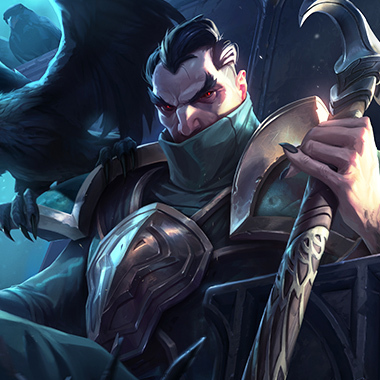 Swain inspires dread in his enemies by temporarily taking the form of a raven. During this time ravens strike out at up to 5 nearby enemies. Each raven deals damage and heals Swain by a flat amount. Swain has a lot of control over his immediate area, but everything outside, he is painfully weak. Staying out of his range hurts him a lot. Buying something with Grevious Wounds, or taking ignite hurts Swains sustain quite a bit, given that his ultimate heals him. It can oftentimes turn a duel into your favor. 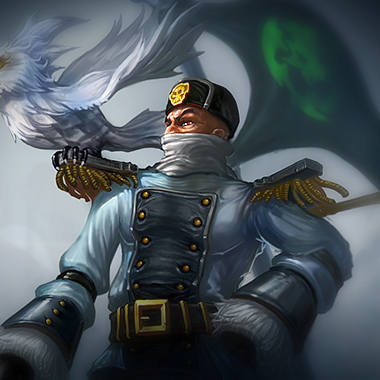 Swain, like most mages, is reliant on having his cooldowns available. If he uses Decrepify, and you escape the area, you can punish him safely for it. Swains waveclear is lackluster on a good day, with only Nevermove and his ultimate as a good way to clear waves. If you push him under his tower, he will miss CS and you can develop a lead. She just outranges him, and as a result, doesn't have to care about his zone control. She also controls larger areas with her E, and can punish his need to get close to the wave to farm with it, making this a lesson in pain and suffering for Swain. 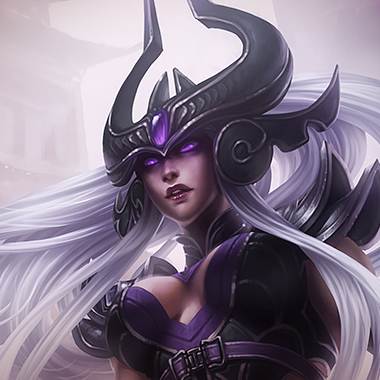 The same as Lux for the most part. She controls comparable space, from further away, and can punish him for needing to be as close to things as he is to be effective. At worst she can force him to disengage with a stun/knockback, so she's guaranteed to be safe, even if she isn't absolutely demolishing him. 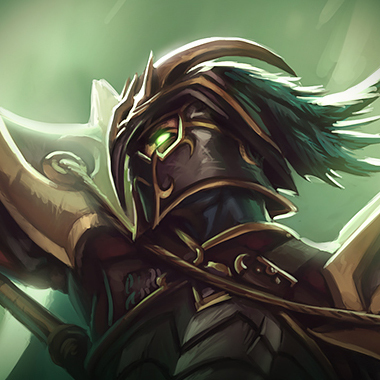 He's Galio, so he just beats mages. 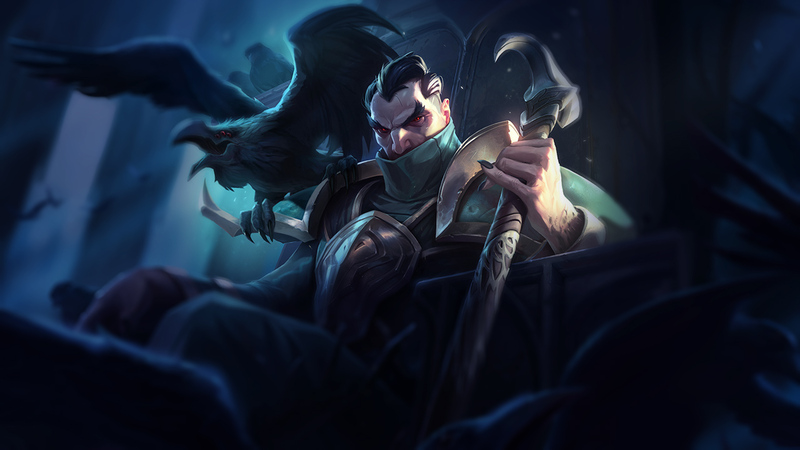 He gets stronger as he gets more resistances and adding shields and heals on top of that means that even if he has to be in Swain's range, he will win the fight that takes place there. 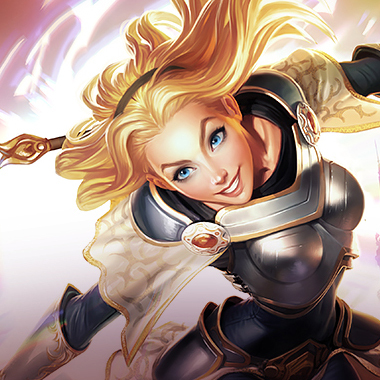 Magic resistance is essential in taking on Swain. Grevious wounds items are valuable against Swain, given his ability to replenish health with his ultimate.